Although poet and feminist Elizabeth Gibson (later Elizabeth Gibson Cheyne), was a prolific writer, publishing some forty books of prose and poetry, her work is very difficult to find. As I discovered doing my own research, there is hardly any publicly available information about her. As a step towards remedying this, I have produced two new pages about her: a selection of thirty of her poems, and a brief biographical outline, with a timeline and list of publications. 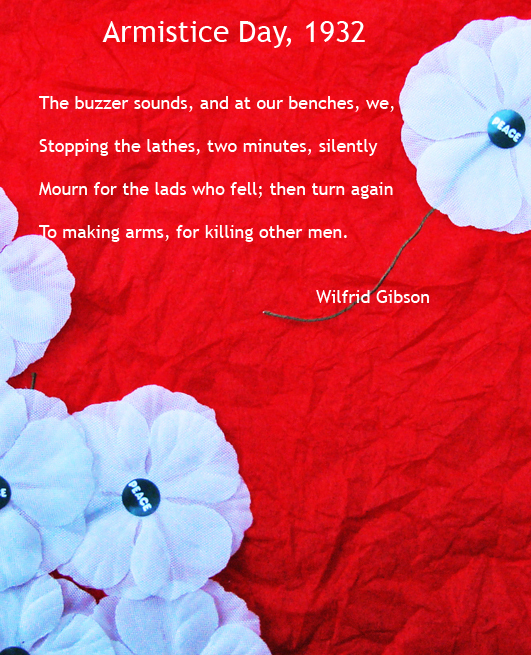 I have also added two anti-war poems from 1907, ‘The Sacrifice’ and ‘Brothers’, to the existing page Elizabeth Gibson Cheyne on Violence and War. I am still in the process of researching her life, and have published a number of articles about her which are available on this site. I hope these new additions will be useful, and I would be glad to hear from, and share information with, anyone who has come across her in the course of their own research. Wilfrid Gibson’s poem ‘Devilswater’, set to music by James Gillespie, appears on the recently launched Brothers Gillespie CD, Songs from the Outlands. The poem, which refers to places near Hexham, Gibson’s Northumberland hometown, was influenced by the regional folk tales and Border Ballads he heard from childhood; I think Gibson would have loved the Gillespies’ version, which fits into this tradition. You can find out more and listen to the song on the Brothers Gillespie website. To celebrate the occasion, I have uploaded the poem here. Rode the parson’s seventh daughter. Rode the parson’s black-eyed daughter. Down she rode by the bridle-track. Came the parson’s black-eyed daughter. Sought his seventh black-eyed daughter. And cursed, and called her the devil’s daughter. Rode the devil’s black-eyed daughter. Rode the devil’s merry daughter. The black-eyed brat of the devil’s daughter. To think she was once a parson’s daughter. Taken from Whin, 1918, the version here corrects some errors which crept in when it was republished in Homecoming, 2003. The Brothers Gillespie have made some slight changes for their sung version.